Active Shooter Crisis Responses Training at Massbuys 2018. | Eagle Investigation Services, Inc.
You are here: Home / Crisis Response Training Seminar / Active Shooter Crisis Responses Training at Massbuys 2018. Active Shooter Crisis Responses Training at Massbuys 2018. 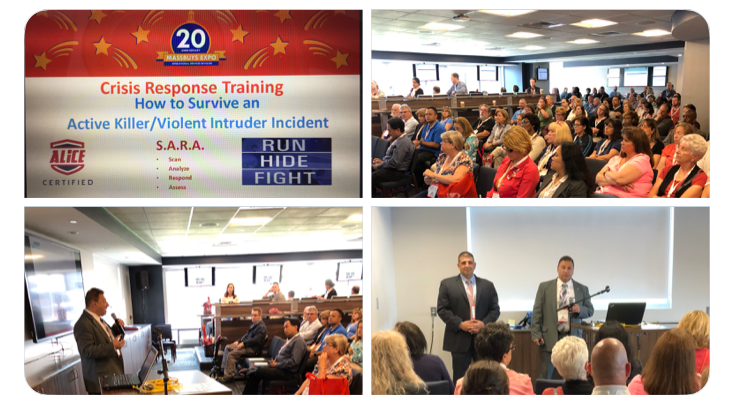 EIS, Inc. had the privilege of Presenting Active Shooter Crisis Responses Training at the MASSBUYS 2018 statewide conference on Thursday, May 10, 2018. It was a fantastic conference we are looking forward to the 2019 conference.